When Tax-News last wrote a feature on the United States Foreign Account Tax Compliance Act (FATCA) over two years ago, there were many who doubted that the US Treasury could really make this extra-territorial piece of tax legislation work. 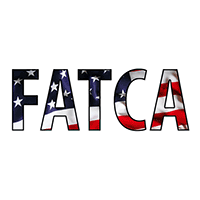 However, as the July 1 start-date looms ever closer, FATCA is now a fact of life for financial institutions and US investors the world over, although its implementation hasn’t been without its problems. Recent FATCA developments and issues are summarised here. The Model 1 IGA requires FFIs in the foreign jurisdiction to report tax information about US account holders directly to its government, which will in turn relay that information to the US Internal Revenue Service (IRS). The Model 2 IGA requires FFIs to report specified information about their US accounts directly to the IRS, to the extent that the account holder consents or such reporting is otherwise legally permitted, and such direct reporting is supplemented by information exchange between governments with respect to non-consenting accounts. FFIs also report to the IRS aggregate information with respect to holders of pre-existing accounts who do not consent to have their account information reported, on the basis of which the IRS may make a “group request” to the partner jurisdiction for more specific information. The IRS released the final text of the agreement to be entered into by FFIs to comply with FATCA in Revenue Procedure 2014-10 on December 26, 2013. On April 2, 2014, the Treasury and the IRS announced that foreign jurisdictions that have reached agreement on the terms of IGAs under FATCA can be treated as having such agreements in effect until the end of 2014.This treatment will be available to jurisdictions that have reached agreements in substance prior to July 1, 2014, and that consent to having the status of their agreements disclosed. After December 31, 2014, only signed IGAs will be considered to be in effect. As an increasing number of jurisdictions reach agreements in substance, the announcement provides FFIs located in these jurisdictions with the guidance they need prior to the upcoming registration deadlines. As of June 12, 2014, 30 Model 1 and five Model 2 IGAs had been signed by the US Treasury. In addition, 34 Model 1 and 2 Model 2 IGAs had been reached in substance. The latest list can be viewed on the US Treasury website. Of note was the IGA reached between the US Treasury and Canada. FATCA has raised a number of concerns in Canada – among both dual Canada-US citizens and Canadian financial institutions. One key concern was that the reporting obligations in respect of accounts in Canada would compel Canadian financial institutions to report information on account holders who are US residents and US citizens (including US citizens who are residents or citizens of Canada) directly to the IRS, thus potentially violating Canadian privacy laws. However, under the IGA, while financial institutions in Canada will not report any information directly to the IRS, significant exemptions and relief have also been obtained. For example, certain accounts are exempt from FATCA and will not be reportable – including Registered Retirement Savings Plans, Registered Retirement Income Funds, Registered Disability Savings Plans, and Tax-Free Savings Accounts. The Investment Funds Institute of Canada (IFIC) released a statement on February 5, 2014 commending the federal government for the exemptions and relief it has secured on behalf of Canadian investors. In June 2014, the Swiss Federal Council decided to bring the FATCA Act, together with the ordinance on disclosure obligations, into force on June 30, 2014, to ease Swiss financial institutions’ implementation of the new disclosure rules. Also of note is the part that FATCA is playing in the diplomatic tensions between the United States and Russia over the situation in Ukraine. On April 29, 2014, the Chairman of the United States Senate Permanent Subcommittee on Investigations, Carl Levin, (D – Michigan) and its Ranking Member, John McCain (R – Arizona), wrote to Treasury Secretary Jack Lew urging the United States Administration to refrain from restarting negotiations with Russia on compliance with FATCA. “We should not be negotiating with the Russians to help them avoid FATCA’s sanctions at a time when Russian forces are threatening and continuing to destabilize Ukraine,” they wrote. Final regulations for the implementation of FATCA were issued by the US Treasury and IRS in January 1, 2013. From August 2013, FFIs have been permitted to use an on-line portal for FATCA registration. Under current timelines, FFIs must fulfil their due diligence and withholding requirements to comply with FATCA by July 2014 (a deadline extended by six months) ready for the first reports to reach the IRS by March 31, 2015, regarding accounts maintained during 2014. However, in May 2014, the IRS announced that calendar years 2014 and 2015 will be regarded by the agency as an enforcement and administration “transitional period” with respect to the implementation and enforcement of FATCA. It is still intended that FATCA will go into operation on July 1 this year, but, with regard to its reporting, due diligence and withholding provisions, and so as to “facilitate an orderly transition,” the IRS will refrain from rigorously enforcing many of its requirements this year and next, as long as FFIs are making a “good-faith” effort to achieve compliance. However, it was also noted that “an entity that has not made good faith efforts to comply with the new requirements will not be given any relief from IRS enforcement during the transition period. Compliance Systems (Convey) and Baker & McKenzie (B&M) have said that the May 2 Notice (2014-33) from the United States Treasury Department should be regarded as facilitating implementation of FATCA by FFIs over the transition period, and not as a delay to its effective dates. Around 77,000 banks and other FFIs have already registered with the United States and received a global intermediary identification number (GIIN), to comply with FATCA, as shown in the first list published by the IRS on June 2, 2014. Describing the recent jump in renunciations of US citizenship as an exodus might be stretching it somewhat. But the marked increase in the number of US passports being handed in has undeniably coincided with a rise in tax administration burdens on US taxpayers at home and abroad and an erosion of individual privacy. In addition to FATCA, individuals are still required to file the Report of Foreign Bank and Financial Accounts if they have a financial interest in or signature authority over financial accounts, including bank, securities, or other types of accounts, in a foreign country, and if the aggregate value of the financial accounts exceeds USD10,000 at any time during the calendar year. According to Treasury Department statistics published in the Federal Register, 1001 United States taxpayers gave up their passports or their green cards in the first quarter of 2014, an increase of 47.4 percent over the 679 individuals that did so in the first quarter of last year. This figure was only surpassed by the 1,130 passports given up in the third quarter of 2013. The number of people renouncing US citizenship is expected to grow to a new record level this year, above the 2,999 level in 2013. In his International Tax Blog, Andrew Mitchel, a tax lawyer from Centerbrook, Connecticut, put the rise in expatriations down to the US ‘worldwide’ tax code, which subjects all of an individual’s earnings to US taxation. Nevertheless, more than three-quarters of American expats and green-card holders who have taken out a supplementary overseas pension contract reported in a recent poll that they are “satisfied” to remain a US citizen despite the incoming FATCA rules. Anecdotal evidence suggests that FFIs are attempting to reduce the administrative burden associated with FATCA by simply refusing to have anything to do with US clients. In the case of Russia’s VTB this definitely appears to be the case. With Russia unlikely to be able to conclude a FATCA IGA with the United States in the foreseeable future, and subject to the country’s current law on tax information exchange, VTB has become the first Russian bank to disclose that it is reducing its services to American clients. While Russian FFIs (except for those that are already the subject of US sanctions) have still been able to register with the Internal Revenue Service (IRS), it is also apparent that, unless there is a change in Russian legal provisions, they will not be able to share information directly with the IRS or to withhold tax. In that situation, it has been disclosed by VTB, Russia’s second largest banking group with around 2,000 US clients, that, while it has registered with the IRS and is ready to comply with FATCA requirements, it has also ceased to deal with new, and will gradually wind down its operations with existing, American clients. In June 2014, the Heritage Foundation issued a report to demonstrate how the FATCA is hurting Americans living abroad, and has recommended that it should be reformed. In particular, Heritage noted that FATCA is burdening Americans living overseas with “enormous financial and legal burdens” through increased compliance costs and denials of service from foreign banks that do not want to have to deal with the law. Last year, the website, RepealFATCA.com, publicised a letter from Bill Posey (R – Florida), a member of the House of Representatives Financial Services Committee, to the Treasury Secretary Jack Lew warning that the United States Congress is extremely unlikely to approve the reciprocal tax information exchange contemplated within FATCA. Posey’s letter reminds Lew that his department would need new statutory authority enacted by Congress to fulfill its side of the IGAs, and confirms his introduction of a bill into the House of Representatives to prevent the Treasury Secretary from expanding US bank reporting requirements with respect to interest on deposits paid to nonresident aliens. However, while the Democrats continue to control the Senate, and while President Obama remains in the White House, any legislative attempts to overturn FATCA are likely to fail. This entry was posted in Americans, CFC - Controlled Foreign Corporations, Expats, FATCA, IRS, Tax, Uncategorized, US shareholders, USD by Adrian Rowles. Bookmark the permalink.